Earnest Barrand is one of the men on the Bottesford ‘church list’ of WW1 servicemen. He was born in 1882 in Bottesford, son of William and Elizabeth Barrand. William was born in Great Gonerby in 1847 and Elizabeth Barrand in Londonthorpe, near Grantham, in 1859. In April 1891 the family home lived at 8, near Rutland Arms Inn. This refers to the public house which is still there are the eastern end of the High Street, Bottesford. The precise location of this house is uncertain, but it may have been one of the dwellings located opposite the pub or it may have been a cottage in the pub yard (now the car park). William Barrand was a cottager. At this time, the couple had four children, Ernest (9), Walter (7), Lily (4) and Cyril (2), all born at Bottesford. By 1901, Ernest had gone to live with his uncle, Thomas Watson, in Gainsborough, and was working as a bricklayer’s labourer. He had married Mary Dawson, on the 25th July 1904, when he was 23. At the 1911 census, they lived at 11 Linden Street, Gainsborough, and had 2 children, John William (born 1905) and Albert Edwin (born 1909). At this time he was employed at Port Engineering Works as a ‘cold-water boiler tester’. When he enlisted, in 1915, he was 33 years old sawmill labourer, living with his family at 11 Linden Terrace, Gainsborough. Ernest Barrand enlisted at Gainsborough on the 22nd April, 1915. 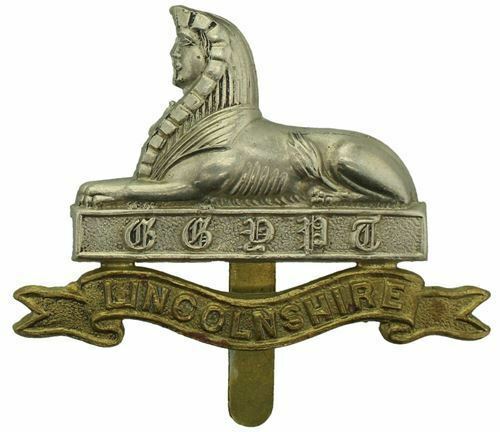 His first Service Number was 3/16437 Private in the Lincolnshire Regiment. He was posted in July 1915 and saw action in the Eastern Theatre of war. His second Service Number was 34150 in the Queens Royal West Surrey Regiment. He suffered ill health, with bleeding piles in addition to double pneumonia and bronchitis. In August 1918, he was invalided back to England where he was treated at the Norfolk War Hospital, and was then in spite of being classified by the Medical Board as unlikely to return to full fitness he was moved to the 389th Labour Corps Home Service Battalion, Service Number 66120. He was promoted to Lance-Corporal on the 14th March 1919. In 1939, Ernest (a general labourer, b.23rd November 1881) and his wife Mary Barrand (b.24th October 1880) lived at 18, Bacon Street, Gainsborough, with John Barrand (b.7th May 1895), also a general labourer. Ernest Barrand died in Gainsborough in 1960, aged 78. Details of Private Barrands Battalions and war actions have not been located.